CAD is being supported by some economic reports such as Retail Sales ex Autos and the Canadian retail sales. Despite its effort to rise, USDCAD is finding strong resistance at 1.28 area. 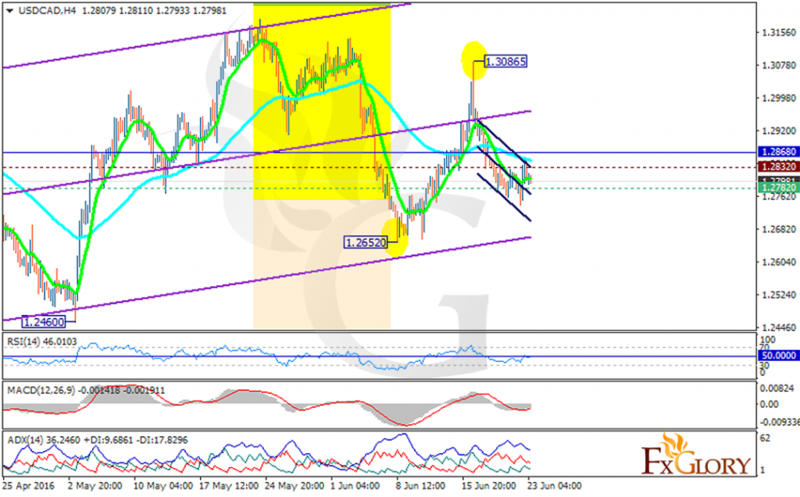 The support rests at 1.27820 with resistance at 1.28320 which both lines are below the weekly pivot point at 1.28680. The EMA of 10 is located below the EMA of 75 but both are moving horizontally. The ADX is showing strong buyers for this pair but the RSI and the MACD indicator are not showing any strong signals. The RSI is in 50 level and the MACD is in neutral zone. The support level breakthrough pulls the price down to 1.2680.